24 Breathtaking Rooms That Will Inspire You To Make Your Bed. The shapes and sizes of most homes have changed drastically over a thousand years, but there's one thing that has always remained the same. We're talking about our desire to create sophisticated interiors that are approachable and comfortable to live in. The interiors, furnishings, and architectural marvels you're about to see will knock your socks off. And although some of these rooms will make you cringe because they're so out of our price range, you might be able to get some ideas to improve your home's Feng Shui. Now obviously, some of these people had plenty of time and money to turn a basic room into something complex, but there's always a way to keep it budget-friendly if you DIY some pieces, visit the local flea market, or wait for a great bargain on Ebay. So take a look and prepare to be inspired on your next decor project! #1. 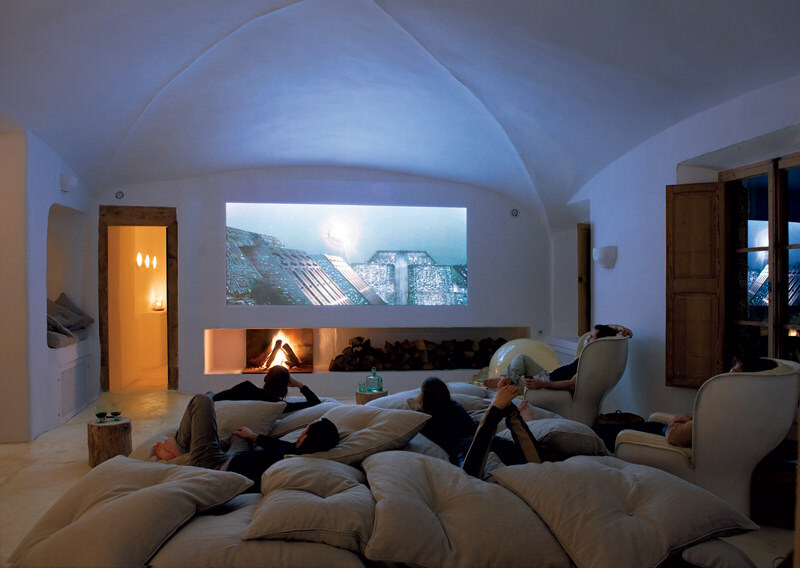 This "stone age" style interior with a movie projector and a fireplace is any movie fan's dream come true. You'll feel like Fred Flintstone as you and the family lay on a bunch of pillow-type cushions on the floor, while bonding over a blockbuster film on the wall. This brings a whole new meaning to term "home entertainment." #2. Wouldn't you love to have breakfast while enjoying a lovely view of the forested wetland? 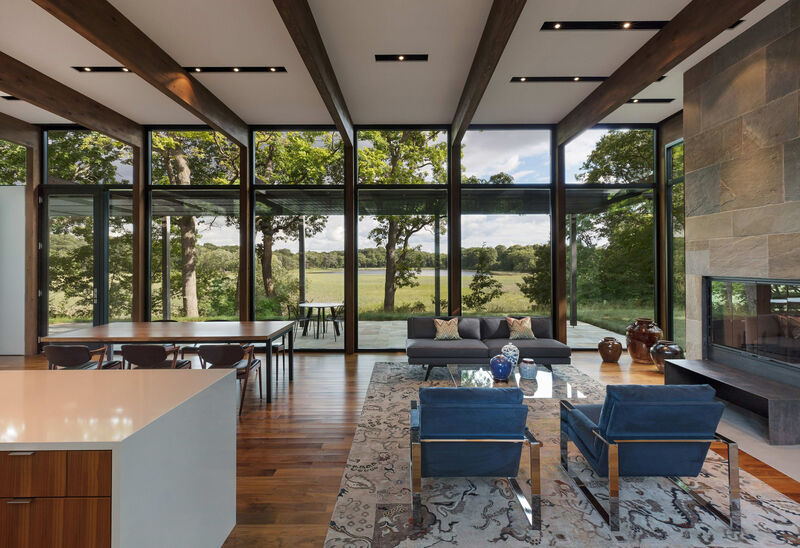 This residence in Minneapolis, Minnesota contains cedar as well as floor-to-ceiling glass walls that allow you to enjoy everything that Mother Nature has to offer. You have to admit that it's better than eating in the living room and watching TV. #3. 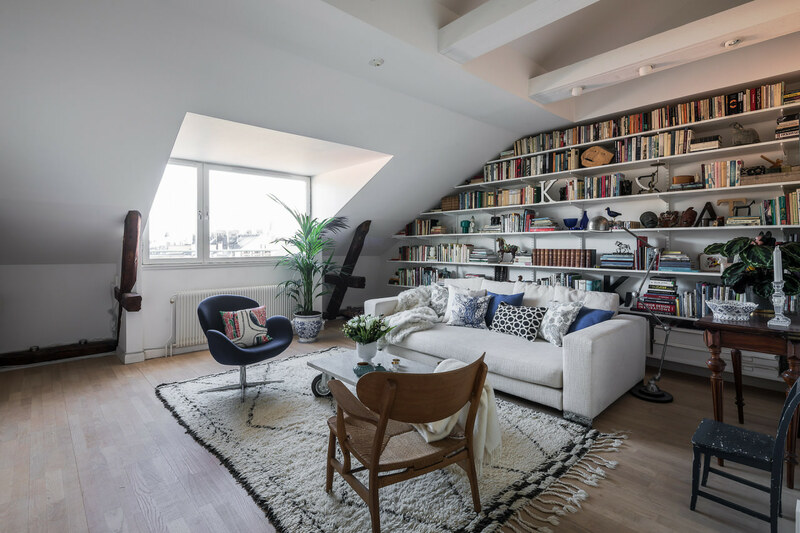 This snap of an attic apartment in Sweden is perfect for anyone who's a huge bookworm. Not only do you get an angled ceiling, but you also have a customized bookcase. And since you're in the attic, you'll be able to read for hours in absolute peace and quiet. Plus, the window allows natural light to come in, which is always better when you're reading a book anyway. #4. This might seem like the living room of your dreams, but it's actually a spacious hotel lounge. 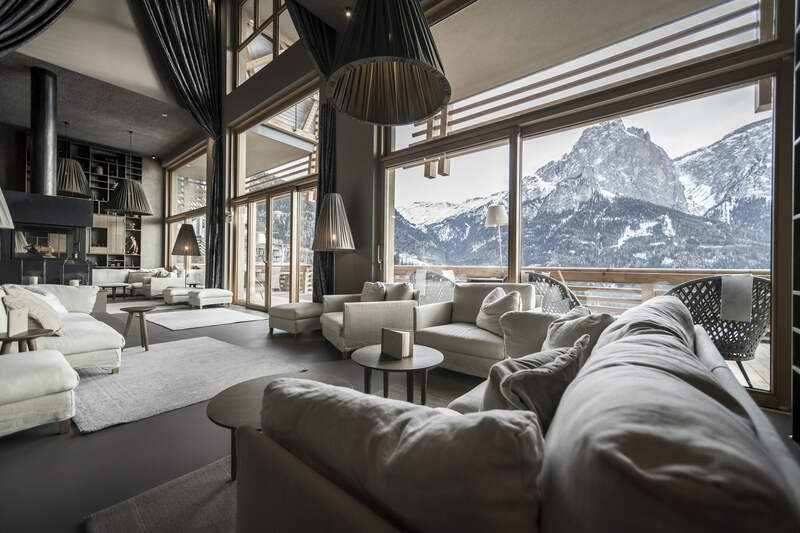 This hotel is located in South Tyrol in Northern Italy, and it has a tall lounge which provides you with a wonderful view of the Italian Dolomites. The room is also centered around a fireplace, so you can stay toasty warm at night or during the winter. #5. This kitchenette in Washington, DC will have you playing the tune to "The Simpsons" theme song. There's something oddly futuristic, but at the same time, slightly reminiscent of Marge Simpson's kitchen because of the bold orange colors. But we're sure Marge would trade Homer for that stainless Eat-In Counter with white drawers and shelves.